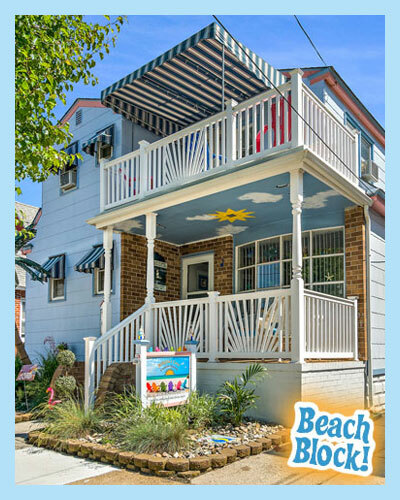 Welcome to Mikayla's Cove- a picture perfect Beach Block vacation home and cottage located in Wildwood, 1 block from Wildwood Crest. This is just the RIGHT place to be near the sea ! Enjoy beautiful Wildwood, the "DOO-WOP Capital" of the East Coast...just a seashell's throw to the FREE beach and FABULOUS boardwalk. We have 4 uniquely decorated full size apartments. Rent ONE for a cozy getaway or all apartments for your family vacation or reunion. Vacation in Wildwood... you will never be bored! !